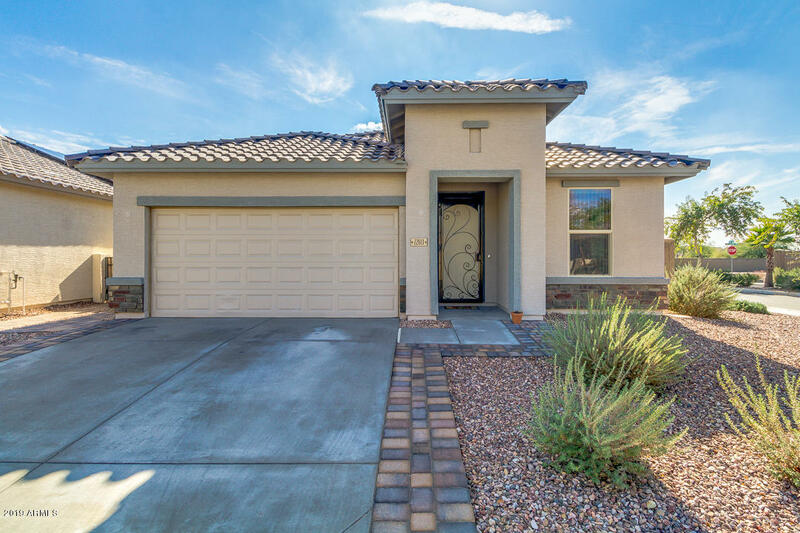 All SUNDANCE PARCEL 23B homes currently listed for sale in Buckeye as of 04/26/2019 are shown below. You can change the search criteria at any time by pressing the 'Change Search' button below. "SNOWBIRD RETREAT!! ANOTHE PRICE DROP!One of the LARGEST premium CORNER lots in Sundance Active Adult Community. CHECK OUT THE VIDEO! Fantastic opportunity for a turn key move in ready that is MODEL SHARP! Split bedroom floor plan with gourmet kitchen,granite counters, HUGE Den or Office. Backyard is POOL READY with an oversized lot and easy GATE access on BOTH side yards. Driveway has added paver extensions for parking convenience. COME SEE this one today!!"